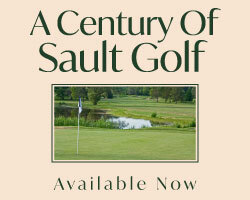 Thousands of tourists flock to this sandy section of Lake Huron shore each year and many also enjoy a golf experience that is fun and rewarding. 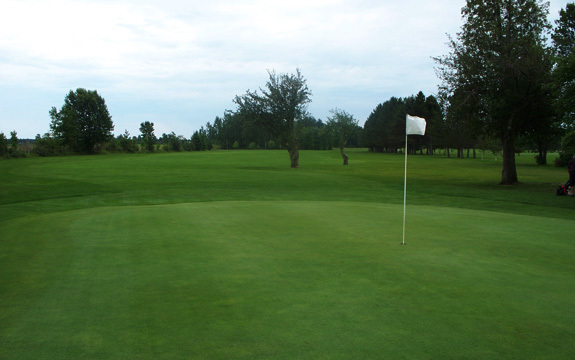 Located on Bruce Road 8, just east of town you will find a terrific course that has something for golfers of all abilities. A bargain fee of $55 on weekends, presents wide fairways that are forgiving to those spraying the ball and the small tricky greens will challenge even the most astute with the flat stick. Owner Jack Gillespe will be the first to warn you not to take this 6225 yard, par 72 course lightly. He also shares that this is a place where many celebrate personal best rounds. Having roots dating back to the 1940’s, the family owned and operated facility presents a casual, friendly place to put your game to the test. The course opens with a short par 4 that gives you a look into what to expect over the remainder of the layout. The small bumpy green is protected on the right by a huge guarding tree that you must attack from the left side. Many more sentinel trees make shot shaping a must if you want a chance to get close to greens. The signature hole, number six, is a short iron over a huge pond. The severe back to front sloped green is riddled with ridges and plateaus that make putting an adventure from wherever you land, that is if you are lucky enough to hit the surface. 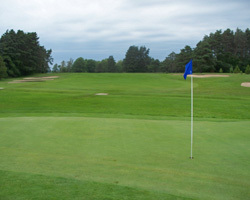 Both seven and nine are best played with layups to avoid the pond and thicket of pines protecting the fairways. The original nine plays as the back nine. This nine is a bit more forgiving at the greens, the tough part is getting to them. The birdie opportunity at 11 is followed by a stretch of holes from 12 to 14 that are tough and require well struck shots to have par chances. Par three 13 is a mid iron to a long narrow green, guarded by water on the right and trees on the left. A tough par is the rule here. The 18th, driveable par 4, can reward you with a birdie or even eagle if well struck, or a big number if OB right and menacing traps left are more to your liking. 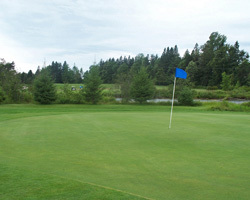 This is a terrific locale for a pleasurable round with buddies or a family outing. 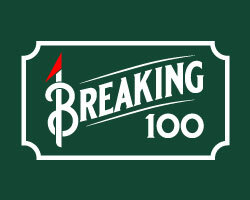 The high-handicapper will benefit from the spaciousness and the low-capper from the shot making demands to go low. Enjoying a post round meal at Bogey’s Pub, the terrific food and service will be the topping to a great day of golf.